Starting at the age of 17, by law, every adult Peruvian citizen must have a Documento Nacional de Identidad card (National Identity Document), commonly known as a DNI—pronounced something like deh-ene-ee). Peruvians must apply for their identity cards prior to turning 18 years of age. The registration process is fairly easy, and only requires the presence of an original birth certificate at an office of the Registro Nacional de Identificación y Estado Civil (RENIEC, or “National Registry of Identification and Civil Status”). Each DNI identity card contains various details about its owner, including a photo, both their given name and surname and the person’s unique identification number, date of birth, marital status, and fingerprint as well as their individual voting number. In 2013, RENIEC introduced the new Documento Nacional de Identidad electrónico (DNIe), a modern DNI card containing a chip that allows for digital signatures and faster processing of information. The DNIe card became available to all Peruvians in 2016, and more information about the new card and how to register can be found on the Registry's website. As a foreign tourist, you obviously won’t have -- and don’t need -- a DNI card. But you still might be asked to present a DNI card, or see it listed as a required category on forms, so it’s good to know what one is just to avoid confusion. Many stores in Peru require a DNI card to complete a purchase, especially when large amounts of money are involved. Some stores are strangely obsessed with taking all your available details, which can make even the simplest of purchases frustratingly slow. Not having a DNI card shouldn’t be a deal-breaker, but it’s always handy to have a photocopy of your passport available so you can show something to the vendor. You might also be asked to present a DNI card when purchasing plane or bus tickets. As a foreigner, you’ll normally be asked if you have a DNI card or a passport, in which case the latter is obviously relevant to you. Your passport number should also be fine for completing official forms that require an identity number. How Can You Get a Peruvian DNI Card? To get a Peruvian DNI card, you’d first have to become a Peruvian citizen. For citizenship, you’d first have to live in Peru legally for a few years as a foreign resident (for which you’d need a foreign resident card known as a Carnet de Extranjeria). You can then consider applying for citizenship, which would give you the right to apply for and carry a Documento Nacional de Identidad. 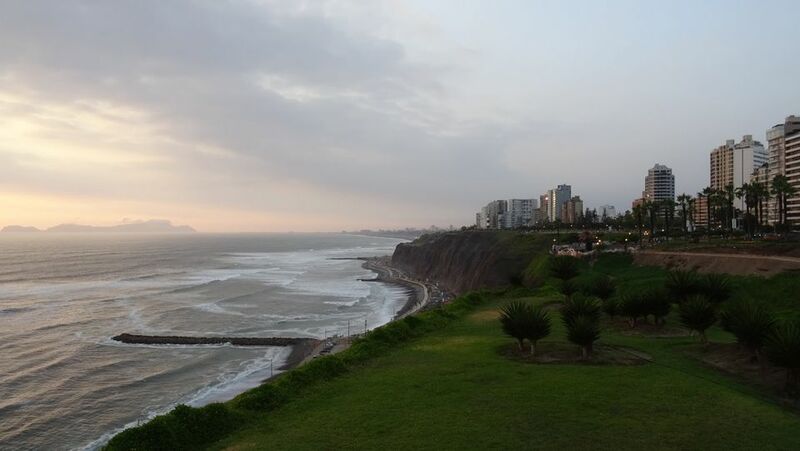 So, no need to fret if you're asked for a DNI card unless you are planning on making Peru your permanent home. Although, with so many interesting things to do, you may consider a move to Peru after all. Who Are Peru's Most Famous People? Can You Extend Your Peru Tourist Visa (Tarjeta Andina)? What Are Peru's Top Imports and Exports?